This is the fifth post in my 10 Days of SWTOR Screenshots challenge. Click on any screenshot to see a larger version. Have you ever met an NPC in the game that immediately made you want to roll a character that looks exactly (or at least mostly) like them? Darth Minax from Balmorra gave me that feeling, along with the Sith lady in the Revanite camp on Dromund Kaas (what was her name again? Ladra!) 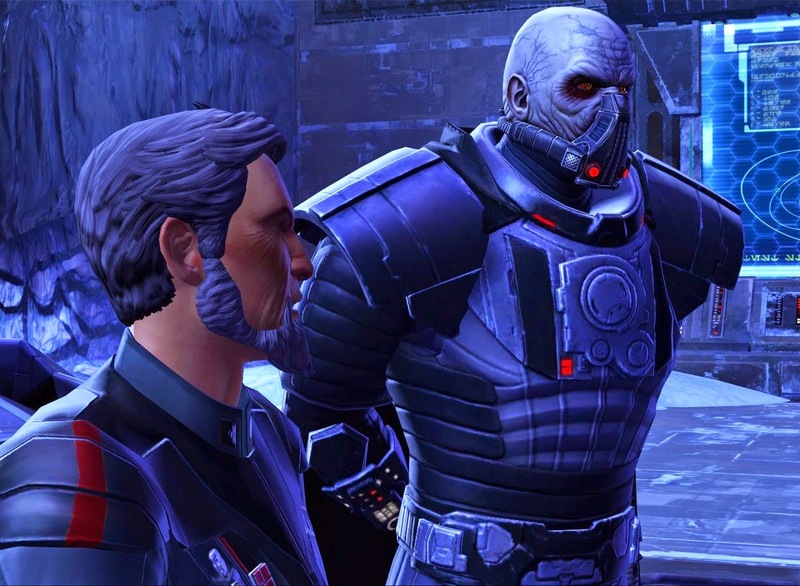 who gives you the quest to steal the Mask of Revan from Lord Grathan's estate. 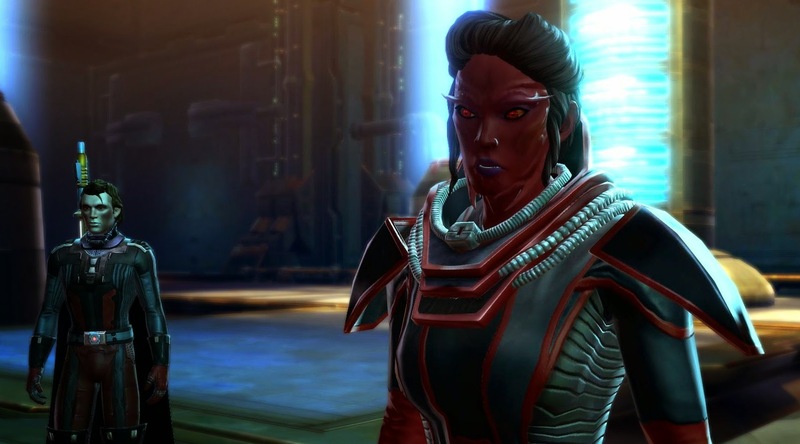 I think I subconsciously tried to model my own Sith warrior after these two (she's a body type one like Ladra and has the same haircut as Darth Minax) but since I didn't have any actual pictures to use as references when I created her, the resemblance is not great. 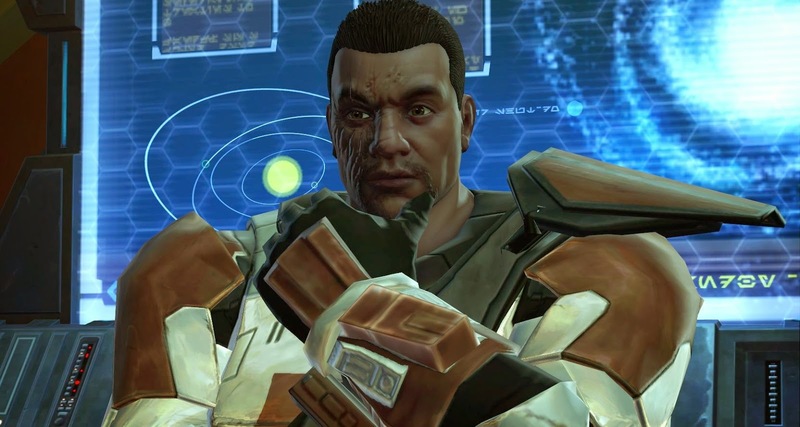 The Cathar quest giver for Bounty Contract Week on Nar Shaddaa gives me a similar feeling of wanting to have a character just like him... I love the patterns on his face! Unfortunately I've learned long ago that I struggle to really get "into" playing male characters in an MMO, so I don't really try anymore these days. 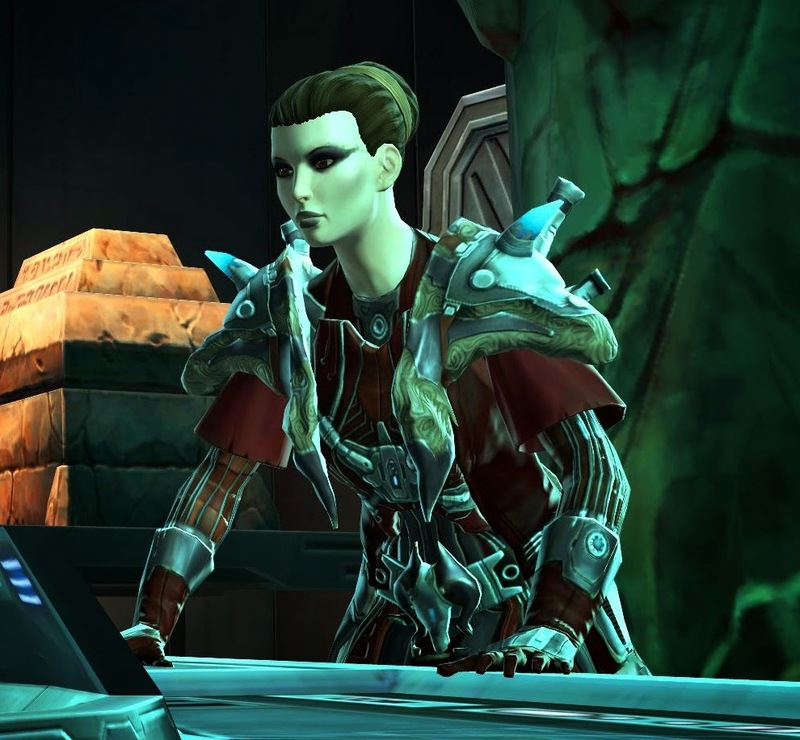 Another character that I like the look of, though I wouldn't want to clone her: Darth Acina, who gives the Dread Seed quest on Imperial side. I think she looks a bit like an evil Elara Dorne (and may even have the same voice actor, though I wouldn't swear by that right now). I also like her weird looking shoulder armour and how it's vaguely reminiscent of the mutations you see on creatures that have been affected by the Dread Seeds, though it's probably just meant to be an animal pelt of some sort. I present: Supreme Commander Jace Malcom of "Hope" fame, in one of his what I think are only two appearances in the entire game. He introduces Republic players to the Alderaan bonus series (which is where this screenshot is from) and shows up at the end of the Makeb storyline. I can't recall any other appearances of his however, which is actually kind of weird when you think about it. In terms of importance to the Republic he's right up there with the Supreme Chancellor and Satele Shan, yet while the latter two show up all over the place, Jace only ever seems to act in the background most of the time. And finally, a shot of Moff Regus and Darth Malgus on Ilum. In recent weeks I've seen some discussion in the community on whether Darth Marr is a good replacement for Darth Malgus or not. I have to admit that when I first played through the whole Ilum story arc and its associated flashpoints, it did seem a bit wasteful to me to let Malgus die like he did. 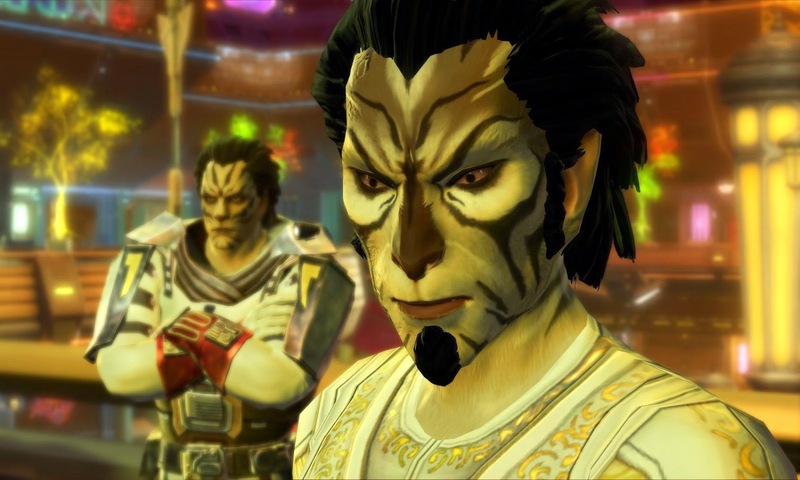 To someone like me, who did all the flashpoints while levelling, he had served as a quest giver during the entire levelling process and had acquired a similar status to that of Satele Shan on Republic side. He was also an interesting character in general. I was quite sceptical of Darth Marr initially, because when he shows up at the start of Makeb he's a bit of a nobody from most players' perspectives, having featured only briefly in a class story or two and having served as the announcer for Voidstar matches since launch (if you're into warzones). Since then he's grown on me however, and I wouldn't want to trade him for Malgus anymore. Malgus was too much of a slave to emotional outbursts (if you read Deceived), while Marr seems much more chill, even if he shares many of Malgus's ideals. Plus his armour is just way cooler. I never noticed before, but my Inquisitor looks a LOT like Minax. I'm sure that between her and a pureblood Sith comic character (Dark Horse Comics' SWTOR tie-in storyline), that's how I came up with my Inquisitor. I've become a big fan of Darth Marr, and like him a lot especially in this expansion. Well at least on the Empire version of the story. I didn't like the way he was portrayed in the Republic versions. I felt that in the Empire's version they were much more conducive to the alliance the Republic than the Republic was in their version of the story. I hope to see more of Darth Marr in the future. I don't know, I think the Republic actually comes across as worse in their own version of the story, what with trying to sneak behind Darth Marr's back when it comes to investigating the ruins on Yavin 4. He actually comes across as pretty damn level-headed in comparison! I had a plan of a dark side sorcerer with the short black hair with the two red scrunchies (this probably sounds stupid, but I usually design new characters by hairstyles that I like but haven't used yet). And then it dawned on me that she would look exactly like that annoying posh sith girl you meet on Taris (I think it was for the sorcerer storyline). I don't think I'll let that bother me, though: I thought of her first! ;) Also, it'll be a while before I'll get another character slot anyway, with the prices those go for on the GTN at this moment. Heh, I unlocked all available character slots back when character slots were part of a flash sale at 90% off... I still think that was a good investment of Cartel coins, even if I haven't actually created enough alts to fill all those slots since then.